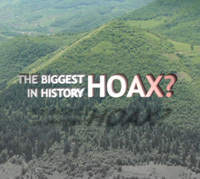 The Biggest Hoax in History..? A new documentary that attempts to unravel the secrets of the Bosnian Pyramids. Location: Visocica hill, Visoko. Bosnia Hertzogovnia. 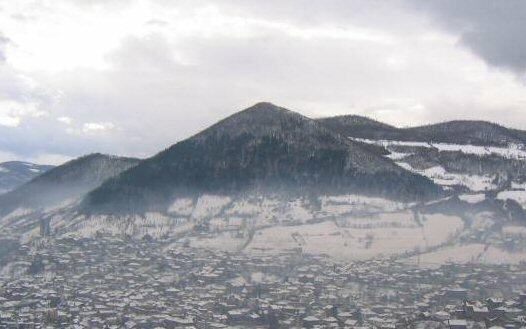 Grid Reference: 43° 59' 20.10" N, 18° 10' 12.97" E.
The main Bosnian 'Pyramid', otherwise named Visocica Hill, is claimed to be one of very few pyramids in Europe. It is located in the heart of Bosnia, in the town of Visoko. It apparently has all the important elements: four perfectly shaped slopes pointing toward the cardinal points, a flat top and an entrance complex. Because of its similarities to the Pyramid of the Sun in Teotihuacán, Mexico, it has been named the “Bosnian Pyramid of the Sun” 'Bosanska Piramida Sunca'. There are also a three smaller pyramids on the site, the Bosnian Pyramid of the Moon 'Bosanska Piramida Mjeseca', Bosnian Pyramid of Earth, 'Bosanska Piramida Zemlje' and Bosnian Pyramid of the Dragon 'Bosanska Piramida Zmaja'. The same year a declaration was published by the 'European Association of Archaeologists' claiming the whole scheme to be 'a cruel hoax on an unsuspecting public'. BBC Article (2006): Dig for Ancient Pyramid in Bosnia. Semir Osmanagic is leading the project to uncover the 'pyramid'. Initial excavations have revealed a narrow entrance to what could be an underground network of tunnels. A team of rescue workers from a local coal mine, followed by archaeologists and geologists examined a tunnel, thought to be 2.4 miles (3.8km) long. The team found two intersections with other tunnels leading off to the left and right. Their conclusion was that it had to be man-made. "This is definitely not a natural formation," said geologist Nadja Nukic. 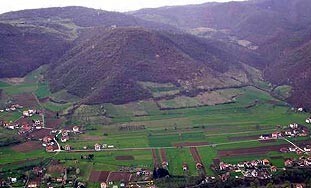 Satellite photographs and thermal imaging revealed two other, smaller pyramid-shaped hills in the Visoko Valley, which archaeologists believe the tunnels could lead to. Cashing in Workers also discovered a paved entrance plateau and large stone blocks that could be part of a pyramid's outer surface. He has already named the three hills the pyramids of the Sun, Moon and Dragon. The work will continue for around six months, with the first results expected in the next three weeks. Two experts from Egypt are also due to join the team in mid-May. According to anthropologists there is evidence of 7,000-year-old human settlements in the valley. German archaeologists also recently found 24,000 Neolithic artefacts one metre below ground. Mr Osmanagic says the hill is a classic example of cultures building on the top of other cultures. The town was Bosnia's capital during the Middle Ages, and a medieval fortress used by Bosnian kings sits atop Visocica. The fortress was built over an old Roman Empire observation post, which in turn was constructed over the ruins of an ancient settlement. An Egyptian geologist who has joined Bosnian researchers unearthing what are thought to be Europe's first pyramids believes they bear similar hallmarks to the ancient structures in his homeland, an official said on Wednesday. Dr Aly Abd Barakat concluded that the blocks on the eastern face of the 'pyramid of the Sun', are of a similar construction to those found in Egyptian pyramids - (the blocks are handmade and polished). In Egypt, stones were polished to reflect the sunlight. Baraket believes that the blocks, 4m x 1.5m in size, were brought from a different location. After studying excavations on the northern side of the pyramid, Baraket concluded that the blocks were handmade and had been created using a mould to form the blocks, which consist of an ancient 'concrete-like' mix. He also noticed a white line 0.5cm thick between the blocks, indicating a cement-like substance had been used to adhere them together. 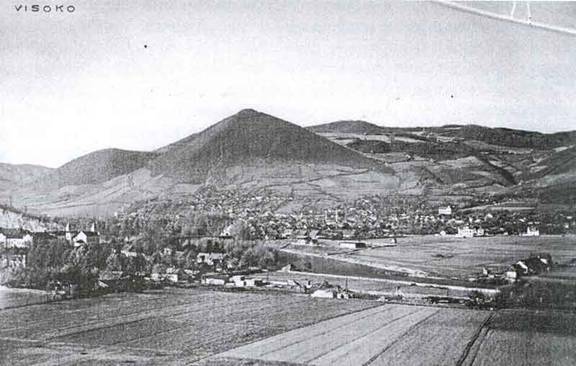 Barakat also visited the 'pyramid of the Moon', at the base of Pljesevica Hill, and concluded that the 'steps' which form the sides of this pyramid were also made by human hands. 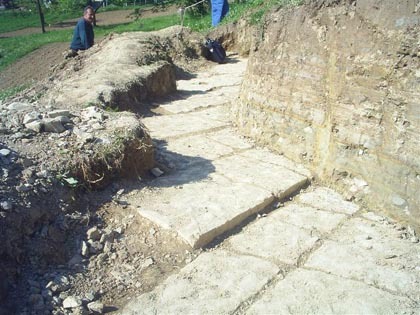 Aly Abd Alla Barakat, of the Egyptian Mineral Resources Authority, believes large stone blocks found near Sarajevo were man-made and polished in the same way as the pyramids of Giza, said the Bosnian Pyramid Foundation's Mario Gerussi. "Barakat has also found the presence of a special material linking the stone blocks which is identical to that used for pyramids in Giza," he added. Barakat had extensive knowledge of the pyramids in Giza and had been recommended for the Bosnian mission by Zahi Hawass, one of the world's foremost Egyptologists, said Gerussi. Over the next month, he is to work with Bosnian experts at Visoko valley, 30km north of Sarajevo, which is believed to be hiding three major pyramids. Since the digging work began in mid-April on one of the three hills there believed contain pyramids, researchers have unearthed a number of large stone blocks. Semir Osmanagic, a self-styled Bosnian explorer who initiated the work, says he believes the blocks are part of a pyramid's surface. Previously, satellite images showed that the hills in the valley cooled a lot faster than their surroundings, proving the substance of the structures was less dense and therefore probably made by men. Also, the structures are precisely aligned with the four points of the compass. The excavation work at Visoko, led by the foundation of local archaeologists and volunteers, will last 200 days and is expected to cost €125 000. While most Bosnians are hopeful the pyramids will be found, a group of the country's archaeologists and historians have dismissed Osmanagic's mission as a "farce". On the issue of whether Barakat was there on official business, Zahi Hawass stated: "Mr. Barakat, the Egyptian geologist working with Mr. Osmanagic, knows nothing about Egyptian pyramids. He was not sent by the SCA, and we do not support or concur with his statements." The supposed pyramid, Dr. Hawass says, is "evidently a natural geologic formation" and that "Apart from its general outline, this hill bears absolutely no resemblance to the Egyptian pyramids." He concludes that, "Mr. Osmanic's theories are purely hallucinations on his part, with no scientific backing." 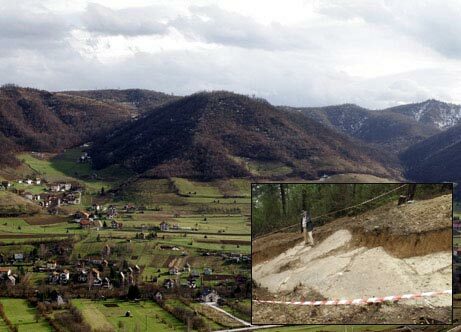 International Scientific Conference about Bosnian pyramids announced. On August 25-30th, 2008 the first ever International Scientific Conference for the Bosnian Valley of the Pyramids (ICBP) will take place at the Congress Hall of Municipality in Old Town Sarajevo. After the first three seasons of excavations of the Bosnian Pyramids the Foundation has gathered enough scientific evidence, through the efforts of scientists and professionals from around the world, to be presented at the ICBP. Leading researchers for the pyramid project believe that this compelling evidence will verify the existence of the Bosnian Pyramid. In an almost unbelievable act of serendipitous irony, an archaeological site in Donje Mostre, in the Bosnian Valley of the Pyramid, has unveiled a Neolithic artefact that has been dated to 6,000-3,000 BC. The discovery was made by students of the German University of Kiel on September 23, and was announced by Zilke Kujundžic, who is actually one of the main opponents to the pyramid project, having filed numerous petitions for the work to be stopped, claiming the entire project is a hoax. 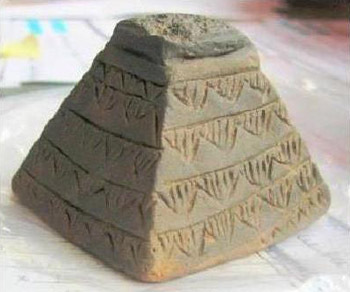 The small ceramic pyramid – in some reports also referred to as a benben stone, because of apparent visual similarities with such stones in Egypt – is a major discovery, showing that local people, millennia ago, created ceramic objects in the shape of a pyramid. One can only wonder why, noting that Donje Mostre is also the location where giant rectangular stone blocks have been found, some of which are definitely manmade. Kujundžic has refused to admit she might be wrong, stating that the find is “not related” to the nearby pyramids. Meanwhile, Kujundžic was also accused of not having shared the discovery with the local Visoko museum. Gallery of Images: Visocica Hill. It must be emphasised that the geological features of Visocica Hill are overwhelmingly considered by scientists to be natural and not man-made as claimed by Semir Omanagic, who is heading up the project. In effect, what we have here is either the worlds largest pyramid or the worlds largest hoax. !